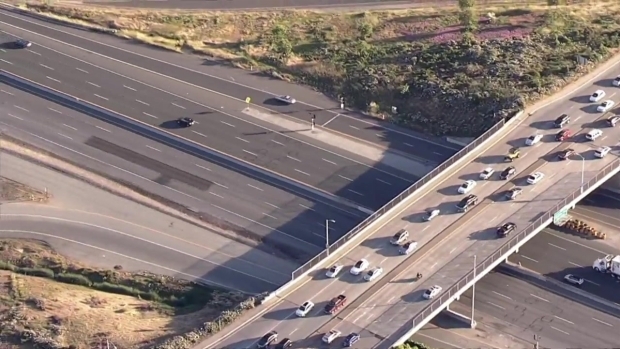 California Highway Patrol officers on Friday responded to reports of a traffic collision on Highway 101 in San Mateo, only to encounter an armed carjacking suspect who they shot and killed after he refused to drop his weapon. Rick Boone reports. 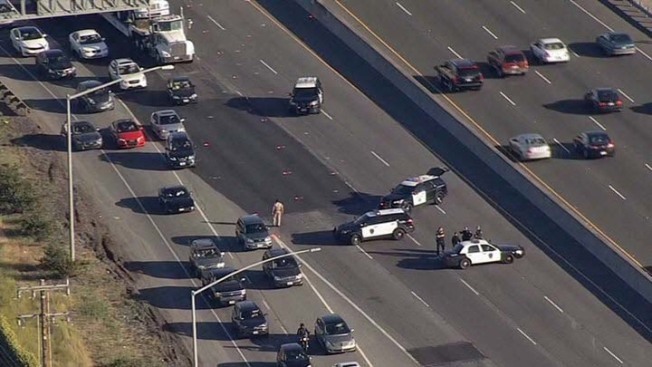 California Highway Patrol officers on Friday responded to reports of a traffic collision on Highway 101 in San Mateo, only to encounter an armed carjacking suspect who they shot and killed after he refused to drop his weapon. The encounter began around 5:30 p.m. – at the peak of the evening commute – near Highway 92. The shooting, however, forced the CHP to close all northbound lanes through nearly 1 a.m. Saturday, snarling traffic for miles. The investigation lasted nearly seven hours because it was "a very complex crime scene," San Mateo Police Capt. Dave Norris said. "Evidence was all across the highway." Police said in a statement on Saturday that the officers on scene found the man “brandishing” a gun, interrupting his attempt to carjack a vehicle that he had collided with. Witness Betsy Steadham said that officers tried repeatedly, but unsuccessfully to deescalate the situation and negotiate with the man. "The cops [were] telling the person to put their gun down ... over and over again," she said. Steadham recalled the officers giving the instructions on a loudspeaker and also yelling at the man. "Then a loud 'boom' — twice!" she said. Fearful for their own lives and the safety of commuters, three CHP officers opened fire, striking the man. Officers from the CHP and San Mateo Police Department rendered first aid and paramedics rushed to the scene, but the man died, police said. None of the CHP officers involved were hurt. The woman driving the second car involved in the collision is a 55-year-old East Bay resident who complained of pain, but was otherwise unhurt. The San Mateo County Coroner’s Office has not yet identified the suspect. 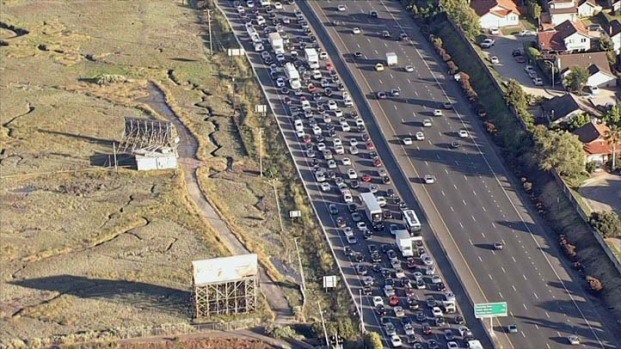 The CHP, San Mateo Police Department and San Mateo County District Attorney's office will be conducting independent, but simultaneous investigations, according to the statement. NBC Bay Area's Kris Noceda contributed to this report.